Read the original post here, or see below! The funny thing about cooking A LOT is that I often find that out-of-the-ordinary food preferences—like veganism, vegetarianism, and gluten intolerance—become a lot less formidable. Once you really know your way around the cooking process and you can understand the basic components of a recipe—why certain things are included, what a certain procedure is for—the haze clears, and you can more clearly see the simple steps needed to take a basic recipe to a more nuanced level. In my case, since I cook for someone who cannot have gluten, it has forced me to really learn what gluten is, how it works, and why we need it in certain recipes. In some instances, it’s impossible to exactly replicate the texture gluten provides to things like breads and cakes. In other instances, however, the line isn’t quite so finely drawn. And, as it turns out, it’s simple (REALLY simple) to make recipes gluten-free. So I decided to test this ideology with Japanese curry. If you’ve never had it before, Japanese curry is typically made with curry roux blocks—prepackaged seasoning that you can get at most Asian supermarkets. They are made up of spices, flour, and fat (like butter) that, when released into your stew base, make a rich, savory curry. The problem with Japanese curry is that it’s definitely not gluten-free, meaning that if you love the unique sweet-spicy flavor, you have to make the curry roux from scratch. So I did. It was less complicated than I thought it’d be. First, I needed to make the spice mixture. If you can pick up S&B curry seasoning at your grocery store, this will be easier. (The S&B brand is the traditional Japanese blend of curry). In my case, I made a dupe using a bunch of powdered spices. Then, the roux. You melt butter in a pan and blend it with gluten-free flour, cooking it until toasty. Add in the curry powder, garam masala, and cayenne pepper, and you’ve got yourself a bonafide gluten-free Japanese curry roux! From there the steps are easy: make the stew base by sauteeing onion, garlic, and ginger. Add in the chicken, season with salt, and then add in the liquids, carrots, potatoes, and seasonings. Let cook down, and then adding the roux. Stir to bring the whole thing together, and there you have it! 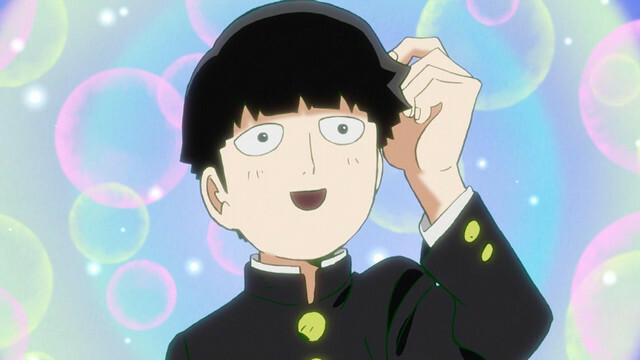 Adding Mob’s face to the top was the natural next step. He has an easy face to replicate, and, as it turns out, is quite delicious when eaten with gluten-free curry! 1. Start by combining spices to make curry powder. Set aside. Then, add butter to a medium pan and let melt. Add in gluten-free flour, and stir together. Let cook until it gets toasty and brown, about twenty minutes. Then, add in two tablespoons of curry powder, garam masala, and cayenne pepper. When combined, remove from the heat and set aside. 2. Prep ingredients for the curry. Heat a large pot on medium high heat, and add in olive oil. Sautee onions for a minute, then add in garlic and ginger. Sautee until the ingredients soften, then add in the chicken. Season well with salt, and cook about 3-5 minutes until lightly browned. 3. Add in the chicken stock, and bring to a boil. Skim the scum off the top, and then add in the carrots and potatoes. Grate the apple into the mix, and add salt and honey. Stir together and simmer ~15 minutes, or until potatoes are soft and break apart easily. 4. Get a cup of freshly cooked rice, and shape into a ball. Cut out shapes for Mob’s hair, eyes, nose, and mouth out of nori. Make the whites of his eyes out of cheese. 5. Assemble! Put the rice ball in the middle of your bowl, and garnish with the face. Then, add the curry around, and enjoy! Next Post Strawberry Shortcake from Kaguya-Sama: Love is War!